In light of the slowdown of the European solar markets due to economic uncertainty and declining feed-in tariffs, the global solar industry is training its gaze on other growth markets. Despite an uncertain policy outlook, the U.S. market will almost double to 1.7 gigawatts in 2011. The domestic China market is only a few hundred megawatts today, but there are big plans and feed-in tariffs in the works. There's still uncertainty about whether there will be the same type of domestic solar policy that helped make China number one in wind power. Solar power has so far played an almost nonexistent role in the Indian energy mix. The cumulative grid-connected photovoltaic (PV) capacity in India as of September 2011 stood at only 45 megawatts, less than any other national market with significant near-term promise. 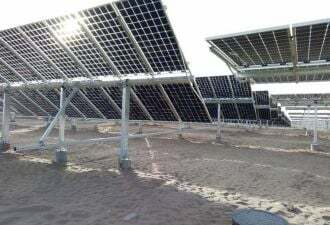 Azure Power, an independent solar power producer deploying grid-connected, megawatt-scale solar deployments across India, just raised $13.6 million from German investor DEG, according to VC Circle. Azure has a $16 million agreement with the Ex-Im Bank for a 5-megawatt solar power project in Rajasthan. It also raised a Round A from Helion Venture Partners and Foundation Capital in 2008, and raised more from International Finance Corporation in 2009. As an IPP, Azure operates the solar plants it designs and builds. According to a release, the funds will be used to enhance the capabilities of its 10 existing operating facilities while planning for additional capacity of 110 megawatts of solar power in Gujarat, Rajasthan and Karnataka. Gurgaon-based SunBorne Energy, a specialist in utility projects, partnered with Europe-based IPP Eoxis Energy to execute a 15-megawatt solar photovoltaic project being built in Gujarat. SunBorne also entered into an agreement with solar panel maker Suntech. Suntech will supply SunBorne Energy with 100 megawatts of solar modules over the next two years, including an initial order for 10 megawatts for a project in Gujarat. In June, IFC invested $4 million in Sapphire Industrial Infrastructures, a subsidiary of Moser Baer, in order to build a 5-megawatt solar plant at Sivaganga in Tamil Nadu. 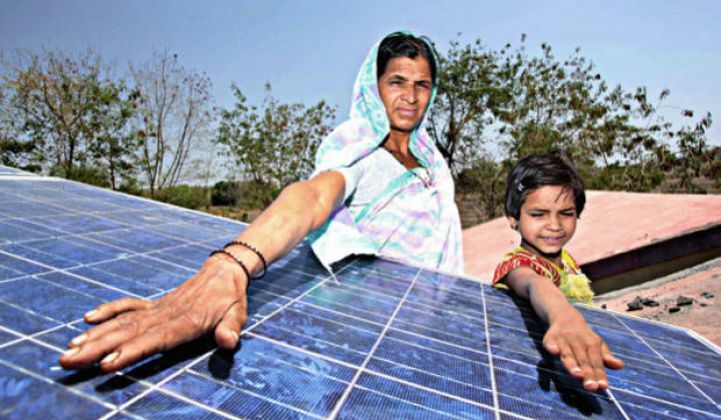 The state policy of Gujarat in India, with a population of 50 million, is one of the drivers in Indian solar. Gujarat has the fastest growing economy in the country. Another driver is the Jawaharlal Nehru National Solar Mission with an initial feed-in tariff structure, already under fire from opponents. Gujarat has a target of installing one gigawatt by the end of 2012 and three gigawatts by 2016 under a fixed tariff structure. That plan is also being criticized by opponents. Startups such as Abound Solar are also looking towards India's solar potential. Information on the in-depth study of the Indian Solar market by GTM Research and BRIDGE TO INDIA, The India Solar Market: Strategy, Players, and Opportunities, can be found here. In addition to the NSM and Gujarat's Solar Policy, GTM Research and BRIDGE TO INDIA examine solar policy for Rajasthan, Karnataka, Tamil Nadu, Maharashtra, Orissa, Delhi and Andhra Pradesh. For more in-depth analysis, visit http://www.greentechmedia.com/research/report/the-india-solar-market-strategy-players-and-opportunities.